Fathom Events and Paramount Pictures are thrilled to bring White Christmas: The 60th Anniversary to cinemas nationwide for a historic two-day celebration event on Sunday, December 14 and Monday, December 15. Ring in the holiday season like never before when Irving Berlinâ? 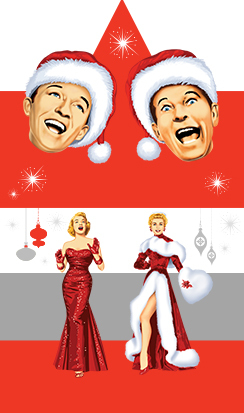 ?s beloved White Christmas returns to the big screen for a two-day celebration. Fans of all ages will gather together to experience the full splendor of a successful song-and-dance duo (Bing Crosby and Danny Kaye) pairing up with a charming sister act (Rosemary Clooney and Vera-Ellen) to save a struggling Vermont inn. 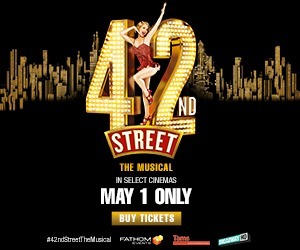 In addition to reliving this holiday classic, audiences will be treated to special backstage stories and an Irving Berlin White Christmas retrospective.